From December 18 to 22, 1978, the Third Plenary Session of the 11th Central Committee of Communist Party of China was held in Beijing. The session completely abolished the "two whatevers" policy, re-established the guideline of seeking truth from facts and brought the ideological guideline out of chaos and the society back to order. 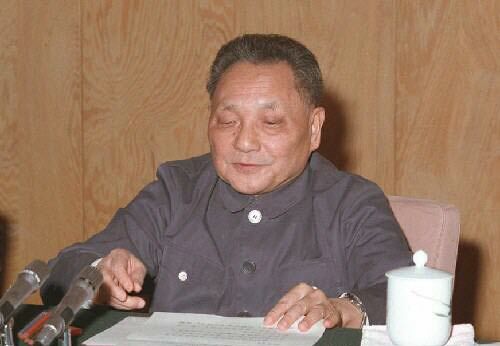 The meeting decided to stop using "taking class struggle as the key policy", shift working focus, bring the society back to order, and form the collective leadership of CPC Central Committee which takes Deng Xiaoping as the core. The party's fine tradition was restored and target of establishing legalized democracy and was put forward. The Party reviewed and resolved a number of major issues as leftover of the history and clarified some merits and demerits issues of some important leaders. An ordered recovery of the system was kicked off. China started shifting from "class struggle-oriented" to "economic construction -oriented", from "semi-rigid/rigid" to comprehensive reform, and, from "semi-closed/closed" to "opening up."